disclosure: This review was made possible by iConnect and Dream Frenz. I was provided product and compensation to facilitate this post, but all opinions stated are 100% mine. The toddler started pre-school yesterday. I was partly excited yet mostly got very anxious. For her part, she was excited when we were talking about it for some weeks now but I know it’s going to be quite a transition for her as she’s been very attached to me since day one. To prepare her, we let her choose her attire, her lunch box, and she even brought her Dream Frenz stuffed toy and pillow in one to school to keep her company during nap time. Does your kid love having a dolly around? 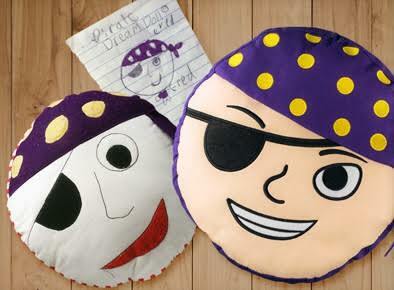 Let us know which design your kid would like and join the giveaway below to win a Dream Frenz for them. 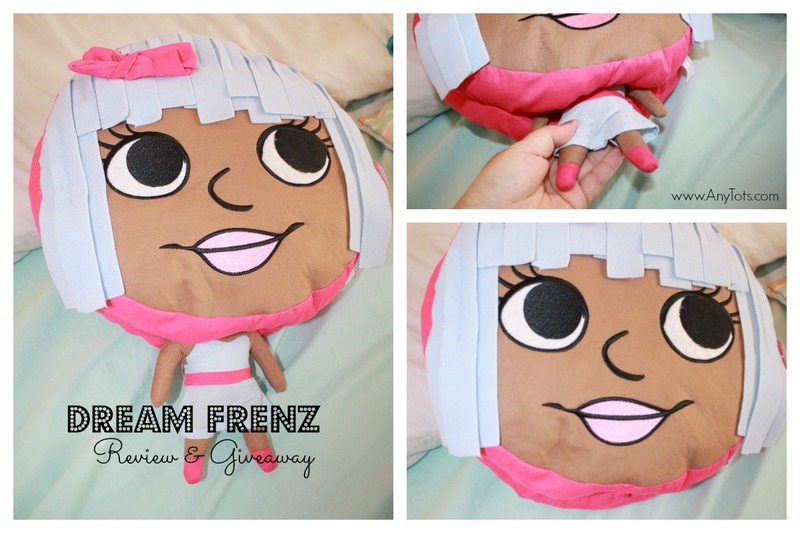 Dream Frenz is a pillow toy for rest, travel or play and take the place of all those stuffed animals, toys, dolls and pillows that you usually pack on a family vacation. The toddler loves having a dolly around. It didn’t start until this year. But I love how she interacts with Brittany (the name of her Dream Frenz). I’d say she does more pretend play at her age than her big sis’ did. The Dream Frenz products are low tech by design. There are no batteries, sounds, or lights. But it helps with pretend play and as a comforting buddy. Her Dream Frenz tags along for playtime, TV time, out and about in the car and nap times. Dream Frenz was founded by Florida-based mom-entrepreneur Halie Fulton, who left the practice of law to focus instead on the “Mommy Track”. While raising her daughters, Halie was inspired by the ‘tadpole drawings’ of her oldest daughter. Thus coming up with Dream Frenz. With an oversized, soft head and a tiny body that tucks inside, Dream Frenz is a cuddly plush pillow and also a toy, a stuffed character and a comforting companion in one. The characters are designed to inspire self- expression, story-telling and imagination in children. Dream Frenz is for children 3 and up. The characters are multi-cultural and the different characters are designed to appeal to both boys and girls. There are currently 10 Dream Frenz characters. More are currently in development, including a sports line, a heroes line and an international line. Dream Frenz is only available at Walmart. Plans are currently underway to expand to retail outlets nationally. Price point is $24.00 SRP. To join, simply follow the prompts on the Rafflecopter below. Winner chosen via Random.org through Rafflecopter. Entries will be verified. Follow us on Facebook to stay up to date with all new posts and current giveaways and Follow us on Instagram for all our family adventures.